Research has repeatedly confirmed that the first 1,000 days after conception strongly influence a person’s life expectancy and susceptibility to chronic diseases. The primary marker used to identify early life stress is low birth weight, which can, for instance, indicate poor nutrition of the mother during pregnancy. But low birth weight is a marker only until birth, about 280 days – far short of a measurement useful for the first thousand days. New research from University of Washington investigators suggests that an asymmetric lower face is a novel marker that also captures early life stresses that occur after birth. “Lower-face asymmetries were common in a generation that became typified by an epidemic of diabetes and obesity in adulthood,” Philippe Hujoel said. 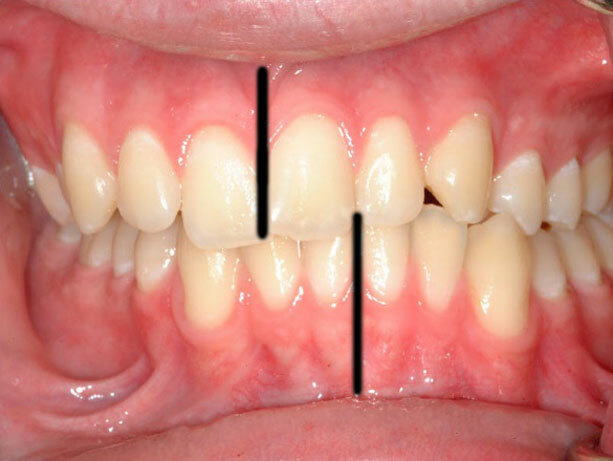 Hujoel, a professor in the UW School of Dentistry, described a crooked, or asymmetric, bite as the teeth biting backward or forward on one side of the face and normally on the other side. Backward-biting asymmetries, the most common lower-face asymmetry in the U.S. population, were found to fluctuate randomly between the left and right sides of the face. Such randomness is evidence for early life stress, he said. Hujoel emphasized that crooked teeth, overbites and underbites are different than an asymmetric bite. Those conditions can be associated with asymmetric and symmetric bites, the latter of which is largely a reflection of genetics, not environmental stress, he said. Hujoel, Erin Masterson and Anne-Marie Bollen researched data gathered from 1966 to 1970, a sample of 6,654 12- to 17-year-olds involved in a National Health Examination Survey. The study found that one in four of the U.S. adolescents had lower-face asymmetries. “Lower-face asymmetries were common in a generation that became typified by an epidemic of diabetes and obesity in adulthood,” noted Hujoel, an adjunct professor of epidemiololgy in the School of Public Health. The team had to look back four decades for data because in the 1970’s, he said, dental researchers in charge of designing U.S. surveys began to disregard the value of diagnosing facial asymmetry, and stopped taking those measurements. Further research is needed to identify whether lower-face asymmetries are predictive of chronic diseases in living populations in the same way that skull asymmetries have been associated with degenerative diseases in long-deceased populations.